Thanks to the laws granting free movement within the European Union, your Maltese passport grants you and your family to live, work and study anywhere in the EU. Moving requires minimal administration – you only have to register at the local municipality office, no visas or work permits are necessary. You and your family will enjoy the same legal status as locals, since EU regulations expressly forbid discriminating between citizens of the Union. Free movement of EU citizens also applies to education. Your children will be able to apply to and enroll at prestigious universities in the United Kingdom, the Netherlands, France or any other country within the EU. Naturally, this also applies to primary and secondary education. You do not have to reside in Malta once you receive your passport or residence permit. However there are many factors that make Malta a superb place to live. First, English is widely spoken and used in all legal texts and proceedings, so you will face no language barrier or tiresome language learning curve. 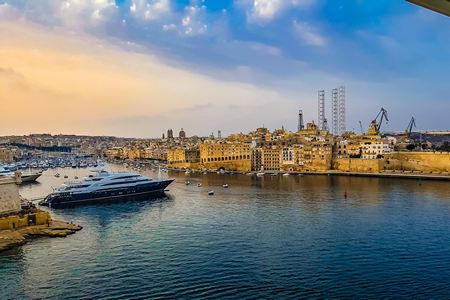 Malta is also consistently rated among the top countries in the world in terms of safety, quality of life and climate – it is the warmest country in the EU). Furthermore, the country’s rich history and strategic location between Europe and Africa make it a welcoming and exciting place for expatriates.